Spiderman Costumes and Accessories for men, women and children! 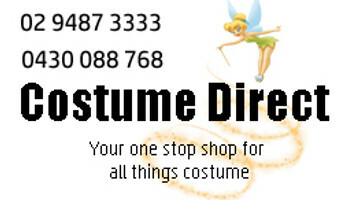 These costumes are all fast shipped Australia wide! Spiderman Costumes will spin you out of control! The creepy-crawly member of the Marvel Comics gang strikes again! Spiderman possesses surface-clinging abilities, web-shooting skills, and a "spider-sense" to escape danger and combat foes, and you can too in your very own Spiderman costume, for men, women and kids! Get your spider-sense tingling and spin your web into Costume Direct to explore our range of Spiderman costumes and accessories!